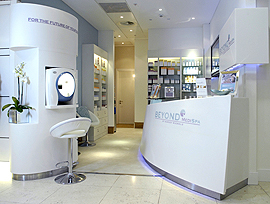 At Beyond MediSpa, we believe that quality homecare is essential to skin health. 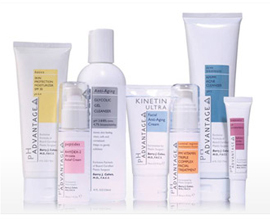 We recommend only advanced, results-oriented skincare products, formulated to help prevent and treat your skin's problems. During your Complimentary Consultation, your Doctor or Aesthetician will design the ideal homecare regime to support and enhance your in-clinic treatments for radiant, long-lasting results. 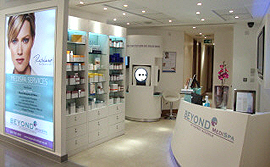 Formulated by Beyond MediSpa's founder and world renowned cosmetic surgeon Dr Barry Cohen, this acclaimed skincare range contains only medically proven ingredients including Glycolic Acid, Hyaluronic Acid and Vitamin A and C in functional concentrations. Each pH product is formulated to the correct ph level which ensures maximum absorption of the active ingredients into the skin, maintaining a perfectly balanced, healthy radiant complexion. • Anti-ageing - Mature skin types or first signs of ageing boosters - Boosting all skin types with 'super' ingredients. •Booster - For boosting all skin types with 'super' ingredients. Internationally renowned dermatologist, educator and innovator, Dr Zein E. Obagi, is esteemed for his work and skincare line that is renowned for correcting a wide range of skin conditions, including facial melasma, deep wrinkles, age spots, acne scars and sun damaged skin. 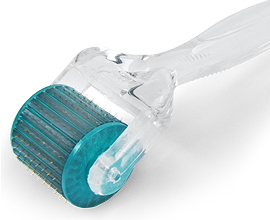 The Medik8 Titanium Dermaroller with 0.2mm and 0.3mm microneedle lengths have been designed for personal cosmetic use as part of your homecare regimen. Their main purpose is to enhance the penetration of active ingredients from your skincare products into the deeper layers of the skin. The microneedles penetrate through the skin to provide micro-channels to maximize the absorption of the topically applied skincare products, this leads to a noticeable increase in their efficacy. Piercing the upper layers of the skin with microneedles also leads to increased blood flow in the skin that stimulates the natural production of collagen to regenerate and repair the skin naturally and safely, creating smoother, brighter, healthier and younger looking skin.